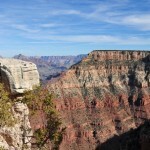 I hope you didn’t get too discouraged by our complaint from our overall experience of the 4-day road trip to Yosemite, Las Vegas and Grand Canyon. Thank you again for bearing it all with us! One thing that was pushed out from the bottom of our hearts by attending the tour was the urge to go back to these places one at a time and gain some real travel experience thoroughly. 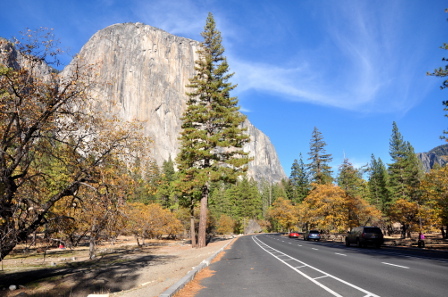 With Yosemite National Park to be the first destination of the tour, we are now moving on to the fun part – the absolutely must-see places / what we did when we were NOT on the bus! Since we only got 2 hours in total to set our feet on the great land of Yosemite National Park, let’s try our best to get the most of it. We strongly encourage you to spend more time in the park. Stay over night if it’s possible. In this post, you will find some useful resources about what to see and what to do in Yosemite, so read on. Established more than 100 years ago, Yosemite National Park is located in the central Sierra Nevada of California, crossing Tuolumne, Mariposa, & Madera counties. Although Yosemite’s history as a national park goes back to 1890, its geologic and human history is timeless. Yosemite Valley’s first residents were American Indians and the word “Yosemite” literally means people who kill. It’s said that there is a story in every corner of the park, which we totally believe so. 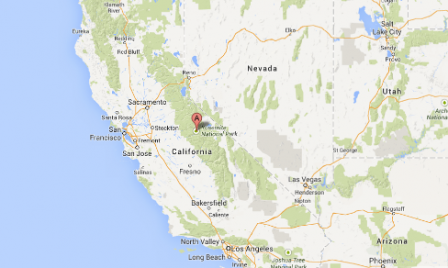 In 1848, thousands of gold miners came to Sierra Nevada due to the gold discovery in the area. 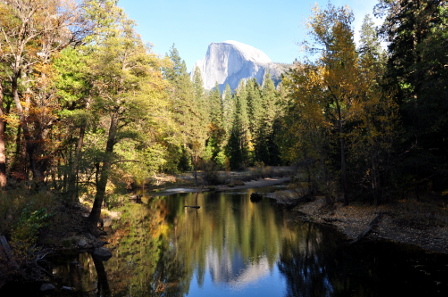 That’s when the word of Yosemite’s beauty started spreading out, which drove to the federal protection of the region. The history of Yosemite National Park would not have been the same if it wasn’t for a few important people. Abraham Lincoln signed the Yosemite Grant in 1864 to provide his protection of Yosemite Valley and Mariposa Grove of Big Trees. 25 years later, Scottish-born American naturalist John Muir and the influential editor of Century Magazine Robert Underwood Johnson realized that it’s necessary to protect the vast wilderness surrounding the valley. Together, they made a successful movement to establish a larger national park encompassing not just the valley, but surrounding mountains and forests as well. With that said, Yosemite National Park covers an area of more than 1,500 square miles (3,080.74 km2). 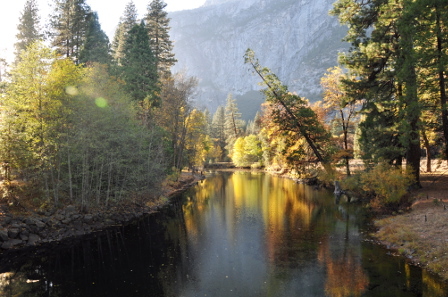 However, Yosemite Valley (7 square miles) becomes the most visited area in the park. We saw some of the most recommended sights in the valley in the precious 2 hours. Let us walk you through please. 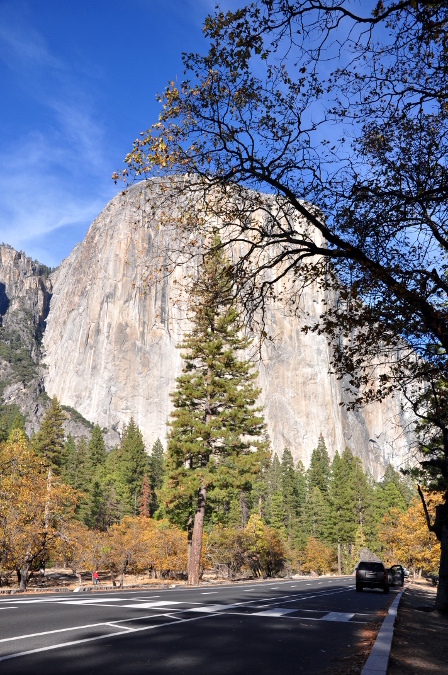 El Capitan – a massive, granite monolith soaring 3,593 feet from base up to the air. It is famous for its massive bulk of largely unbroken rock and its sheer. This gigantic rock is composed of a particularly durable granite, allowing it to withstand the pressure of glaciers and erosion. From spring to fall, climbers come from all over the world to conquer El Capitan. Bridalveil Fall – across from El Capitan, Bridalveil is the most prominent waterfall in Yosemite Valley. Different from most of the waterfalls, which only flow during spring and early summer, Bridalveil flows year round. 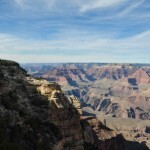 Although it appears small when seen against the surrounding canyon walls, it’s actually 188 meters (617 feet) in height. 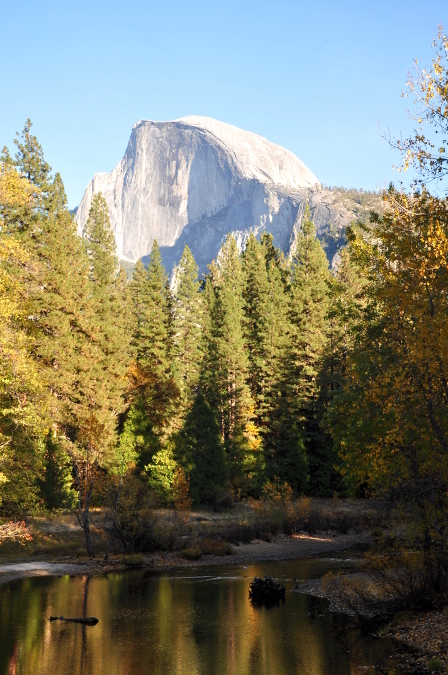 Half Dome – the most distinctive symbol of Yosemite rising 8,842 feet above sea level. It dominates most valley views. Did you know that the popular outdoor gear and apparel company The North Face’s logo was designed based on Half Dome? If you only have a couple of hours to spend in the park, make sure you capture all the above mentioned sights with your own eyes and camera. 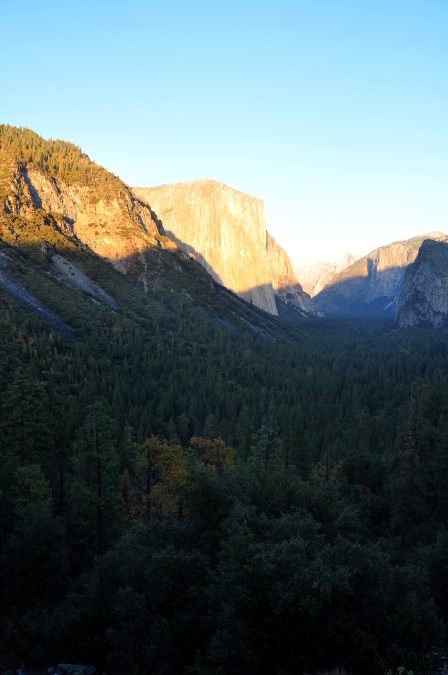 It’s guaranteed that you are going to wish that you planned more time for Yosemite. That’s exactly how we felt. We didn’t get a chance to go Glacier Point which is located 32 miles south of Yosemite Valley. It offers some of the best views in the park. Be sure to visit when you are there. 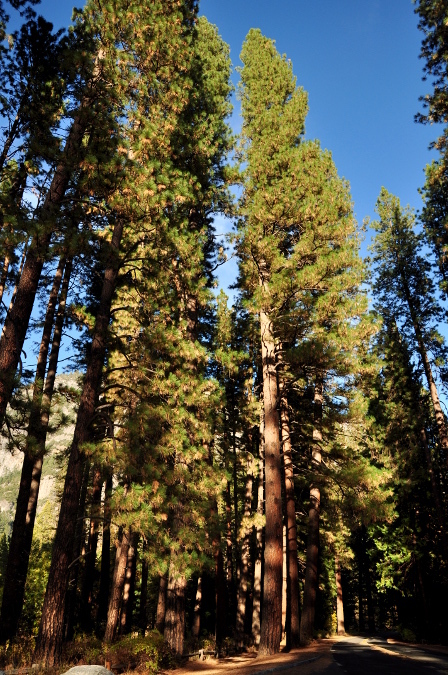 For you to plan your trip well, here’s a list of things to do in Yosemite National park. Apparently, there are numerous events, activities and programs going on in Yosemite every day and most of them are free. Let’s start off with visitors favorite top 3 activities. 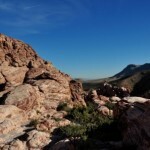 It’s not surprising that hiking/walking is ranked number one here. Seriously, walking is the best way to enjoy the beauty of Yosemite. Yosemite Wilderness offers more than 800 miles of hiking trails in total, covering all levels of difficulty. 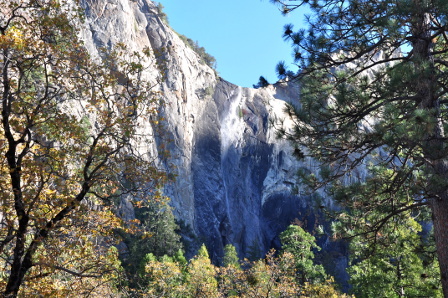 If you are in the park for only one day, the short trails to Bridalveil Fall (0.5 mile round-trip/20 minutes) and Lower Yosemite Fall (1.0 mile round-trip/20 minutes) are highly recommended by visitors. 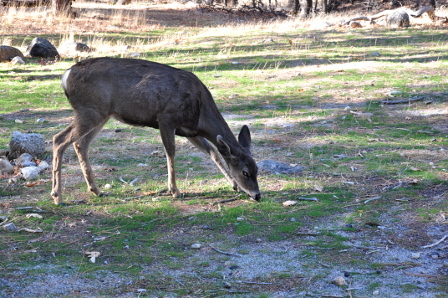 For more information, talk with a ranger at any visitor center in Yosemite National Park to get some free day-hike routes info or join one of the Ranger Walks to gain some insights about Yosemite’s history and what makes it so special from a ranger. Ranger Walk schedule is available on the park newspapers. There are over 12 miles of bike paths available in Yosemite National Park. Bikes for all ages can be rented from early Spring to late Fall. This is my favorite! I am totally going back to Yosemite to climb on some of the big walls. People go there across the global for the endless opportunities in the park. Rock climbing classes and courses are offered by Yosemite Mountaineering School. Their “Go Climb A Rock” class is popular for an entire family to learn how to climb. They have hiking, backpacking and cross-country skiing classes as well. If you are interested, call (209) 372-8344 for more information. Special guided tours. Visit YosemitePark.com for more tour information or make a reservation. Camping. 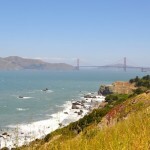 Make sure to take a look at the camping rules and regulations. Backpacking. 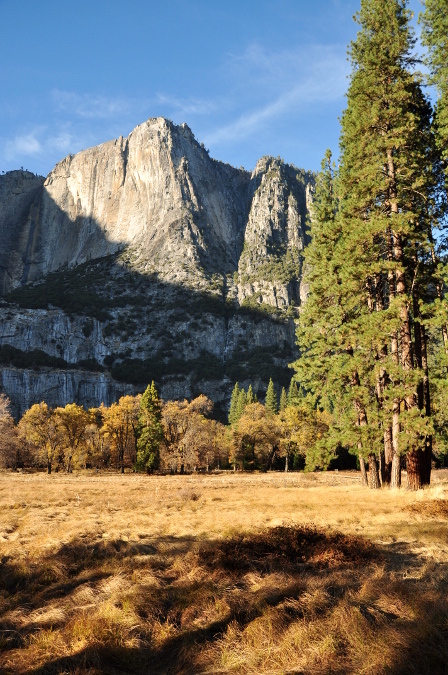 Free wilderness permits are required for all overnight trips to Yosemite Wilderness. These are issued at wilderness centers. The list goes on. Visit the park website first to plan your trip. Another great resource is Oh Ranger – American Park Network. Go type in any park that you would like to visit or find a park nearby, they cover everything you want to know in great detail, including history & cultures, sights to see, things to do, dining and lodging, etc. Next stop is Grand Canyon. Stay tuned!